Are you looking for bargain offers on wholesale clothing by popular brands? We found a seller who offers a clearance stock of ZARA clothes for women, men and children – all from the ex catalogue 2017 collection. The company who listed the apparel for sale is a Hungarian wholesaler based in Pomáz. 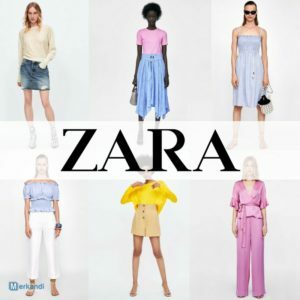 The seller offers three different stocks of branded clothing from ZARA at competitive prices of only EUR 4.20-4.65 per garment. You can purchase a minimum of 50 garments. The total stock quantity is 6000 pieces, which can be bought at EUR 4.65 / piece. The clothes are sold in packages and pallets. These are first grade A ware goods, with the original tags. They include a variety of the models such as dresses, tops, women’s t-shirts, shirts, pants, skirts, sweaters, etc. This offer is a stocklot of mix clothing for both men and women. The clothes are new, 1st grade, with the original tags. It is a summer/autumn collection from the year 2017. It includes pullovers, t shirts, tops, dresses, trousers etc. The prices are the same as in the last offer. The total quantity available is 5000 pieces. 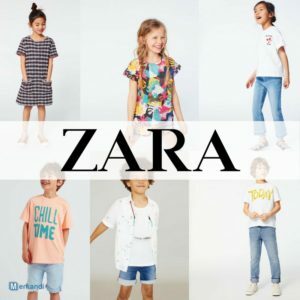 This is a smaller stock of 2000 pieces of children’s ZARA clothes from the 2017 collection for summer and autumn. The garments are A ware goods, with the original tags. You can purchase a minimum of 50 pieces of in mix packages at a net price of only 4,20 € per garment. The wholesaler has more offers available on their website. The accepted payment methods are by bank transfer or in cash. The goods can be shipped internationally or collected in person.